Many people still think a public library is just a place to go check-out books, but Williams Public Library not only has a large collection of books to choose from, but it has dozens of other resources for learning, research and entertainment available for free. The Williams Public Library is connected to the Flagstaff Public Library as part of the Coconino County library system. 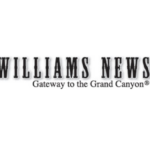 Residents of Williams can not only obtain a Williams Public Library card, but also a Flagstaff Public Library card as residents of Coconino County. The Williams Public Library is partnering with the Kaibab National Forest to present a series of programs to kids more than six years old to introduce them to Williams and its surrounding area. Forest Service intern Griffin Broehm will host the programs Thursday afternoons at 3:30 p.m. in the City Council chambers beginning July 29. This way children attending the summer rec program will have a chance to attend the talks. The programs will cover different fields put to use by the Forest Service. The first will cover local archaeology, and show the kids some of the cool outdoor spots in and around Williams. The two other talks will discuss wildlife and local botany.